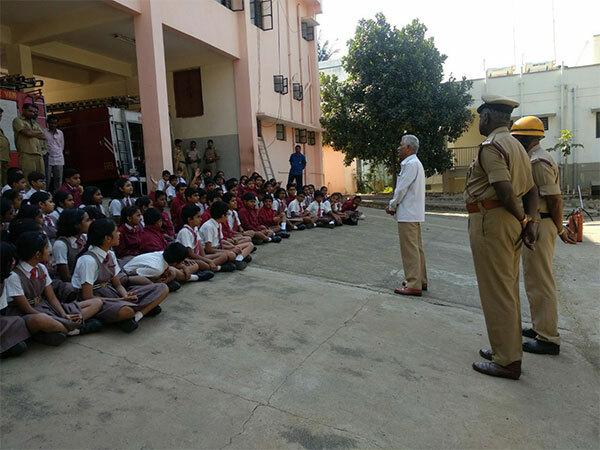 Curious minds of Grade 5 were at work posing myriad questions to the fire personnel at the Fire Station, Rajajinagar, during their field trip on 20 February 2018. 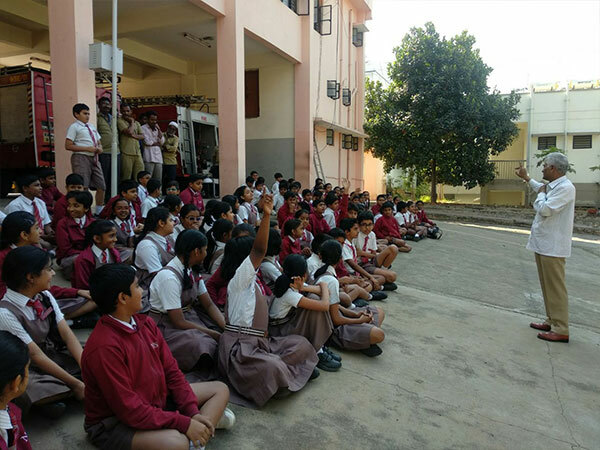 The interaction between the pupils and the fire personnel was lively and productive. 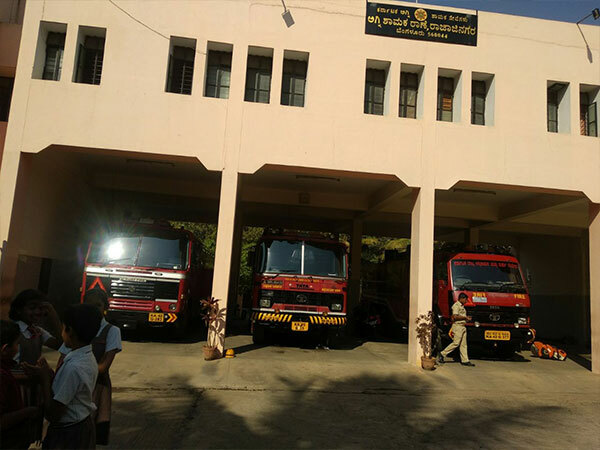 The students learnt about the various measures to be taken to put out a fire. 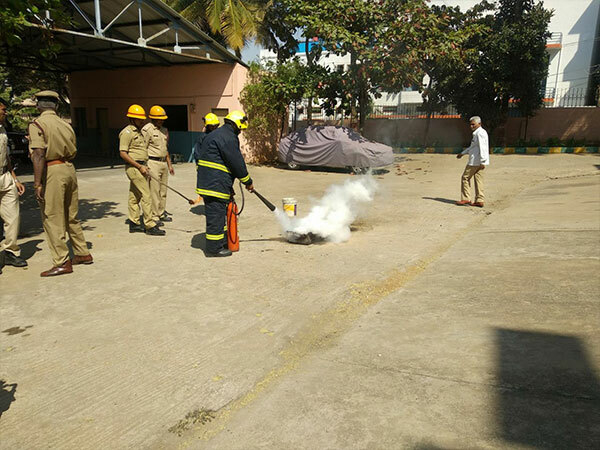 A live demonstration to explain the working of the equipment used in fire engines and the technique employed to douse a fire was also conducted. 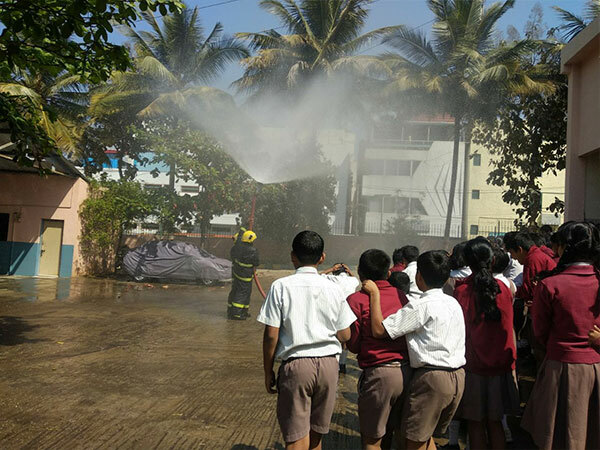 The students were fascinated by the sheer variety of sprinklers used in a fire extinguishing operation. This exposure was a rich learning experience as it reinforced the concepts already learnt in text books.